Exotic, accessible, full of variety yet still a bargain; Southeast Asia is one of the best tourist destinations in the world. Southeast Asia is longtime favorite for travelers of all stripes. Its pleasant blend of balmy climate, colorful cultures and friendly locals makes it an easy entry into the vast realm of Asia. Southeast Asia is a fascinating and diverse region, spanning the southern tip of the Himalayas in northern Myanmar to the 13,000 subtropical islands of Indonesia. Fertile valleys grow most of the world’s rice, providing the staple for some of the best cuisine on earth. It’s a land of rich culture, deep spiritualism, and some of the most enjoyable traveling on the planet. Although most of the nations in this region resemble each other, they offer different variations on the same theme. Buddhist culture dominates the northern countries of Thailand, Burma, Laos, Vietnam and Cambodia, while Indonesia is the world’s most populous Islamic nation and the Philippines is mostly Catholic. But unlike other parts of the world, religion rarely interferes with neighborly relations. Thailand lies at the heart of Southeast Asia, and has the most developed tourism scene. World-class beaches, trekker-friendly mountains and hip urban centers like Chiang Mai and Bangkok make this a good place to start. Its reputation as a relaxed and tolerant society is well-deserved. Surrounding the kingdom of Thailand and connected by the mighty Mekong River are Laos, Cambodia and Myanmar. The languid nation of Laos is locked in time, but slowly opening to tourism. 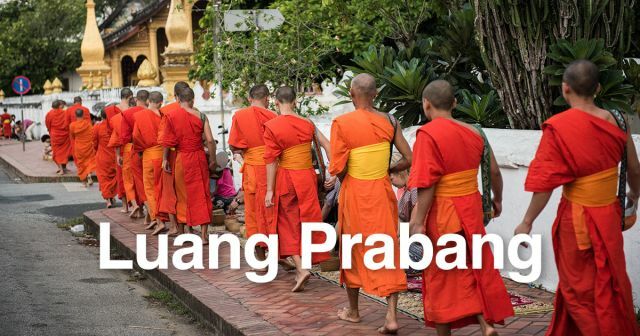 UNESCO sites like Luang Prabang are among the most magical in Asia, but the country offers very little else. Cambodia is in a similar condition, boasting the superlative temple complex of Angkor Wat but suffering from extreme poverty and poor infrastructure. Myanmar has the potential to be an amazing travel destination especially now that the iron grip of the military government is loosening. Its ancient Buddhist cities like Bagan and Mandalay have to be seen to be believed. Vietnam is just the opposite. It has fully opened the floodgates and is enjoying a wave of prosperity. Prepare yourself for Chinese-style aggression as everyone in this country tries to cash in on the tourist dollar. Malaysia and Indonesia are both fascinating blends of several ethnicities. Their relative lack of tourism makes them great places to explore. Natural wonders like rainforests, volcanoes and exotic wildlife await more adventurous travelers. Southeast Asia has some great urban centers, too. Singapore is an entire city-nation and by far the most organized and clean destination in the region, too much so in some people’s opinion. Buddhism dominates the societies of Myanmar, Laos and Thailand, while Indonesia is the world’s largest Muslim nation. There’s also the colorful Hindu island of Bali and a wealth of ancient sites like Angkor Wat (Cambodia), Borobudur (Indonesia), and Sukhothai (Thailand). Southeast Asia is one of cheaper places to travel, and the people here eagerly welcome new faces from abroad. Travelers are now moving beyond the perenially popular tourist spots of Thailand, Bali and Malaysia into the formerly isolated countries such as Cambodia, Laos and the more remote Indonesian islands. With a decade of relative stability, well-developed tourist infrastructure, low prices and famously easygoing locals - Southeast Asia is a prime destination for both first-timers and experienced travelers. The biggest challenge is not in finding your way around, but in finding your own way. Phuket attracts more people than any other destination in Southeast Asia. Thailand’s largest island has fine beaches, a hedonistic nightlife, an attractive old town and a surprising amount of countryside to look at. Lying on the verdant east coast of the Malay peninsular, Taman Negara (‘national park’ in Malay) was one of Malaysia’s first national parks and its most beautiful. With an abundance of flora and fauna, plunging waterfalls, meandering rivers, fantastic views and intrepid walkways, it is one of the finest parks in Southeast Asia. Cambodia’s Angkor Wat is stunning and is the most important architectural site in Southeast Asia with its numerous Khmer buildings. It has bags of history yet its scale is its most impressive attribute, covering 100 square kilometers. 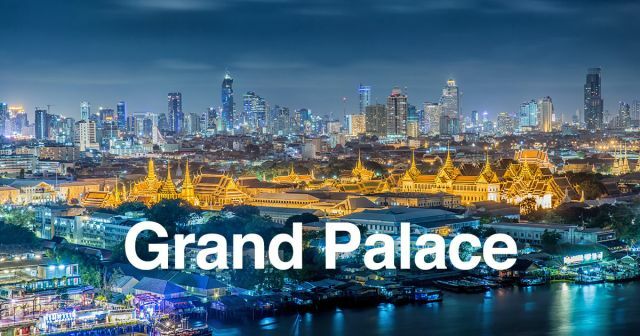 The main attraction in Thailand is the opulent Grand Palace, a collection of the country’s finest temples. Among them is the royal temple (Wat Phra Kaew) which houses the Emerald Buddha. Laos’s fairest town hails from the 14th century and is a World Heritage site, preserving the uniqueness of the traditional village and its many intricate temples. 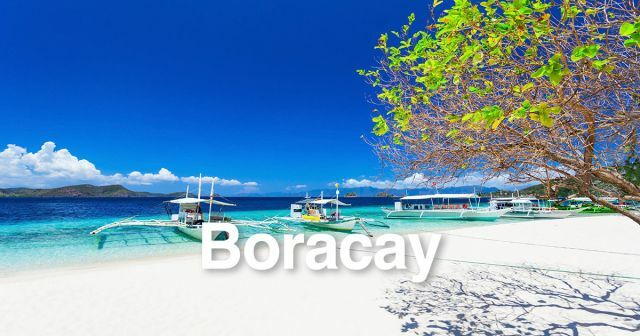 Appearing time and again on the ‘world’s best beaches’ lists, Boracay is a stunningly beautiful beach resort with white sand and calm waters. Adding to its appeal are the water activities and buzzing nightlife. Kuta beach is the main draw to Bali for hordes of Australians who come here to surf and enjoy the nightlife. Bali also has a deep-rooted culture and there are several temples and nature reserves on the island to boot. 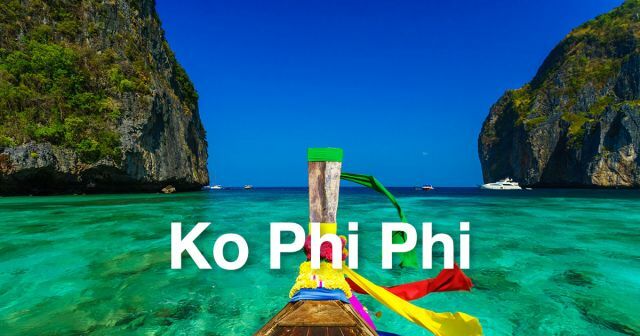 Thailand’s southern Phi Phi archipelago is a snorkelers’ dream and its fine mixture of sandy beaches, inviting coffee shops and laid back guesthouses attracts a certain type of fun-loving traveler. Phi Phi Don and Phi Phi Leh are the main attraction. Ha Long Bay is one of Vietnam’s natural gems, a stunning collection of karsts and islets bordered by the Gulf of Tonkin. 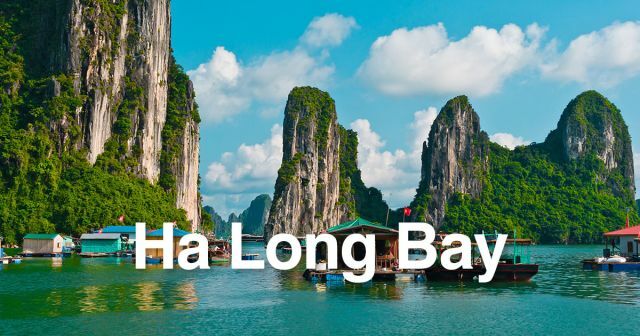 Ha Long Bay can be found in the northeast of the country and is a major stop off point for many tourists. 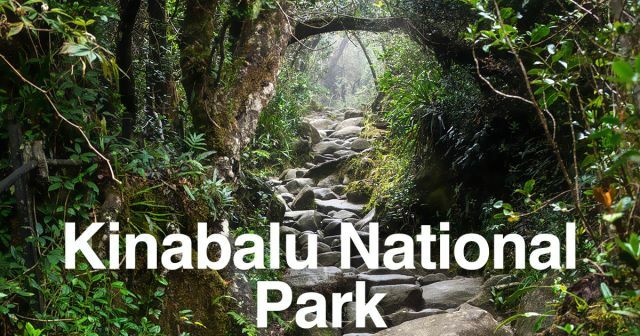 Malaysia’s answer to Indonesia’s Mulu National Park on the island of Borneo is the impressive Kinabalu Park in Sabah. 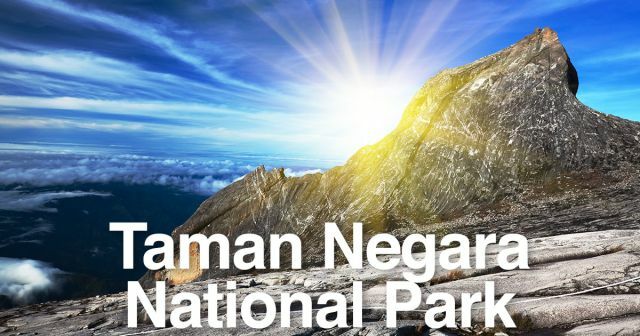 The park was set up to protect the area around Mount Kinabalu (Southeast Asia’s highest mountain) which features excellent walking across four climatic zones. Southeast Asia is made up of over 20,000 islands and covers a gigantic area within the tropics where active volcanoes, dense rainforests and large mountains reside. With this comes great scope for activities including trekking, diving, surfing, white water rafting and rock climbing, as well as the chance to spot some of the world’s most unique animals. Although Southeast Asia might not have the grandeur of the Himalayas, the amazing walks of New Zealand or the vastness of the Amazon rainforest, it does have all of these attributes to a degree and is lots of fun to boot. The other good thing about traveling to Southeast Asia for an activity-oriented holiday, where travel, accommodation and doing things is cheap, is that most things can be done at relatively little expense. Southeast Asia is typically hot and sticky for most of the year and it also rains a lot owing to seasonal monsoons effecting different parts of the region at different times. The whole region lies within the tropics, with Singapore, Malaysia, Indonesia, and southern Thailand being closest to the equator and thus the hottest, while Vietnam, Laos, Cambodia, and central and northern parts of Thailand are slightly cooler. Most of Southeast Asia remains hot and dry between April and May, with monsoonal rain between June and October, and cool, dry winds from November to February. Malaysia, Brunei, Indonesia, Singapore and the Philippines have a wet season (in winter) and a dry season (in summer). Temperatures can hit the high 30s (°C) in the dry season and hover around 25°C in the wet season. November to February: This is the most popular time for tourists, since most come to escape the winters of Europe and North America, thus hotel rates and crowds are at their worst. For Thailand, Malaysia, Burma, Cambodia, Laos and southern Vietnam it’s also coolest and generally rain free. The east coast of southern Thailand and parts of Malaysia suffer unique monsoons at this time, and tropical downpours are common in Singapore. Contrary to other countries, this is also the wettest time for southern and eastern Indonesia, including Bali. The Philippines also gets the tail end of its wet season towards the end of the year, while northern Vietnam is decidedly chilly and often misty. March to June: Generally the hottest time of the year for central Southeast Asia when the tropical heat can be unbearable, especially in Thailand, Malaysia, Cambodia, Laos, Burma, southern Vietnam and Singapore. Haze affects the northern reaches of the Southeast Asian interior where seasonal burning is a problem, making sightseeing disappointing, and it can get very dry although storms bring heavy rain in May. It remains dry through most of Indonesia and the Philippines during this period. July to October: Considered the ‘wet season’ for much of the region, these months are characterized by torrential rainstorms in most countries where several heavy downpours in the space of day are not uncommon. It might be cloudy for a week, or lovely and sunny with a few threatening cumulonimbus clouds in the late afternoon. A patina of green rice paddies dominates the landscape, and the Philippines suffers particularly from heavy storms and occasional typhoons. By contrast, it is mostly dry across Indonesia with the rains arriving in September on Sumatra. Northern Southeast Asia: The more northerly climes of Thailand, Laos, Cambodia, and Vietnam generally have hot, wet and dry seasons with the cool (dry) season running from November and late February. The wet season in these parts of Southeast Asia are also a lot milder than farther south, where rain is generally short-lived and days can still be pleasant. In mountainous areas of northern Thailand, Vietnam, Burma and in Laos, the winter months between November and March can get decidedly chilly and it is worth packing accordingly if traveling during this time. Tropical Southeast Asia: Most of the rest of Southeast Asia, including Singapore, Malaysia and southern Thailand, remain hot and humid year-round, with temperatures around the mid-30s (°C) and with high humidity. The only escape is to head for the high altitude regions of these countries although Singapore suffers in this respect as it is pretty much flat. The heat in Southeast Asian cities during the hot periods can be excruciating as there is a lack of air flow, plus the heat and pollution from the traffic exacerbate things. Wearing light cotton clothing during these times is a must and, luckily, cheap clothing is widely available. Most large cities in Southeast Asia, with the exception of Singapore, have high levels of pollution. This problem is made worse in Malaysia, Brunei, and Sumatra in Indonesia from the haze created from ‘slash and burn’ forest fires in the dry season (May to October). Many travelers to Southeast Asia experience mild illness or an upset stomach on their first trip to the region, often caused by the humidity, heat, change in food and consumption of non-potable water. To protect against serious illnesses, there are a number of vaccinations travelers can have before arriving in the region. While many minor sicknesses can be treated with over the counter medicine in Southeast Asia, you may need to visit a hospital in the event of an emergency. The region has many leading health-care facilities, with the best hospitals available in Thailand, Singapore, Malaysia and Hong Kong. Outside major cities, facilities can be inadequate, making medical insurance a must. Crime is not a major risk in Southeast Asia, but it pays to keep a close eye on your belongings in busy areas. Terrorism has affected some areas, most notably Bali, and travelers to affected areas should stay abreast of warnings and advice. Crime: while violent crime against foreigners is not common in the region, petty theft is a regular occurrence at busy tourist centers. Avoid traveling alone at night or frequenting poorly-lit areas. It pays to pay attention to your belongings when in bars and nightclubs, which are hotspots for thieves. In rural areas crime is even less common, but don’t be laid back about safety. Regional conflicts and terrorism: although the region is devoid of regional cross-border conflict, southern Thailand and areas of the southern Philippines are currently experiencing conflict and terrorism arising from Islamic insurgency, and visitors are advised to avoid these areas. East Timor and Burma are susceptible to political uprisings and riots, and visitors to these countries must ensure they are up to date with the situation. Diseases: such as HIV/AIDS, malaria, dengue fever and rabies are prevalent in parts of the region, while less fatal illnesses such as hepatitis A and B, and dysentery more commonly affect travelers. Visitors should only eat at hygienic-looking establishments, they should not consume tap water and they should use protection when engaging in sexual activities while abroad. Ensure you are up to date with relevant vaccinations before leaving home. Adverse weather: the Philippines, Vietnam and Burma are at risk of typhoons during the May to November rainy season. These tropical storms can cause flooding and disease epidemics, and can effect public transport. The rainy season in other parts of the region rarely brings with it danger, but boat travel during storms can be dangerous. Women travelers: women have little to concern themselves with when it comes to traveling alone in Southeast Asia. The region is generally safe, with the greatest risks being those of petty theft and disease. It pays for women to dress modesty when traveling in the region, however, as wearing revealing clothing may cause unwanted attention and offence. There is a huge need for English language instructors and NGO workers throughout the region, with posts easy to get on arrival. Many schools require their foreign teachers to have experience and a teaching certificate, but it is still possible to find part-time teaching work without any formal qualifications. While it is possible to pick up casual teaching work quite easily, securing a long-term visa can be difficult. It is necessary for the organization or company you work for to sponsor your application, which can be costly and time consuming. In addition, many companies cannot fulfill government requirements to employ foreigners. Aside from teaching and NGO work, jobs in other fields are difficult to come by, with local employers preferring to hire less costly locals. There are many volunteer posts, however, and long-stay visas for charity work can usually be obtained without difficulty. Part-time bar work is not open to foreigners. Studying in the region is an option, with courses in higher education often costing a third of what they would in the UK or the US. Applications can be made in your country of residence; once you receive a letter of acceptance, you may apply for a student visa. Singapore, where English is widely spoken, is a popular place to study among English speaking students, with other countries in the region presenting language obstacles. Aside from language instruction, it is not possible to study in Cambodia, Laos or Burma. Language courses in Thailand and Malaysia are popular among foreigners who are interesting in remaining in the region long term.